Take an additional 40% off sale fitness equipment and apparel at Everlast when you enter the promo code EXTRA during checkout. Shipping adds $6.95. 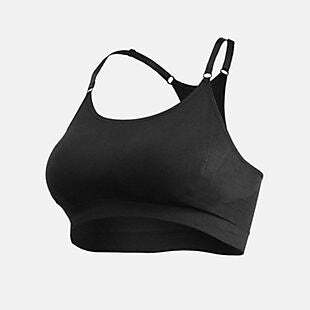 The pictured women's Adjustable Padded Sports Bra, originally listed at $27.99, falls from $14.99 to $8.99 with the code. That's a 68% markdown. It is available in sizes S-XL in three colors. Also pick up one of these Speed Jump Ropes, which drop from $21.99 to $7.99 to $4.79. That is the lowest price we could find on this rope by $3. There is no sales tax.